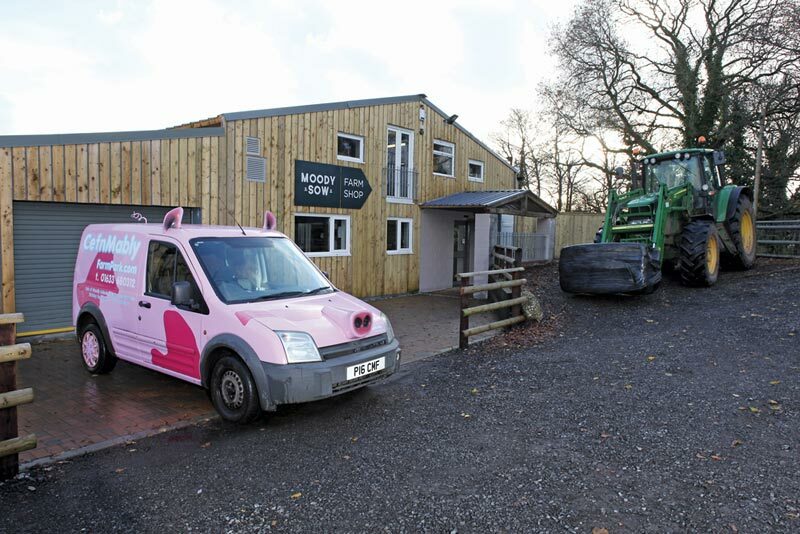 We make fresh sausages, cure and smoke our own bacon, all from our own pedigree pigs that range free in the woodland next to the shop. Our beef, lamb and poultry are sourced from local farms that we consider the best in quality and taste with the emphasis on as little food miles as possible. Our philosophy is to age all of our meat on the bone, to enhance both fl avour and quality. We hang our beef on the bone for at least 21 days. Shop manager and Rhys’ brother-in-law Anthony and master butcher Chris are always on hand to offer friendly advice and any help you require. 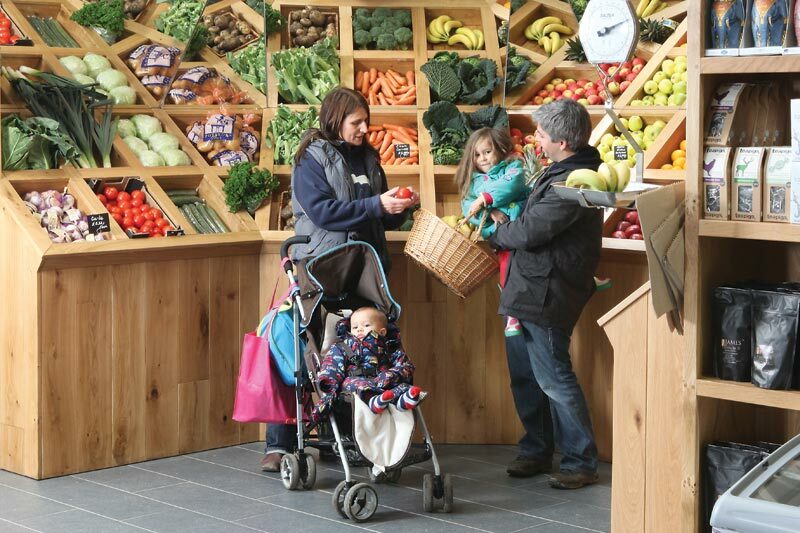 We have a full selection of loose fruit and vegetables, sourced from local growers wherever possible. We have beers brewed in the region, locally sourced wines, soft drinks and a wide selection of pickles and preserves, either made by us or sourced from local producers. 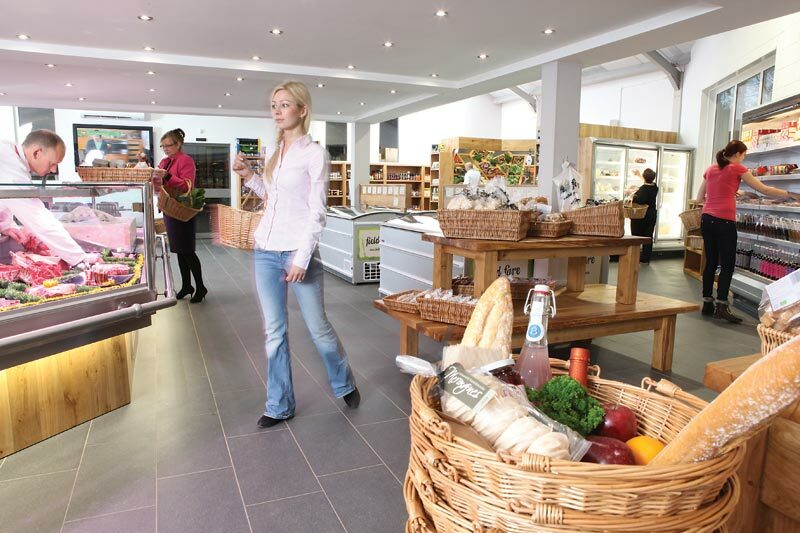 All this combined with groceries and frozen foods from the best suppliers around, make Moody Sow Farm Shop a foodies paradise. 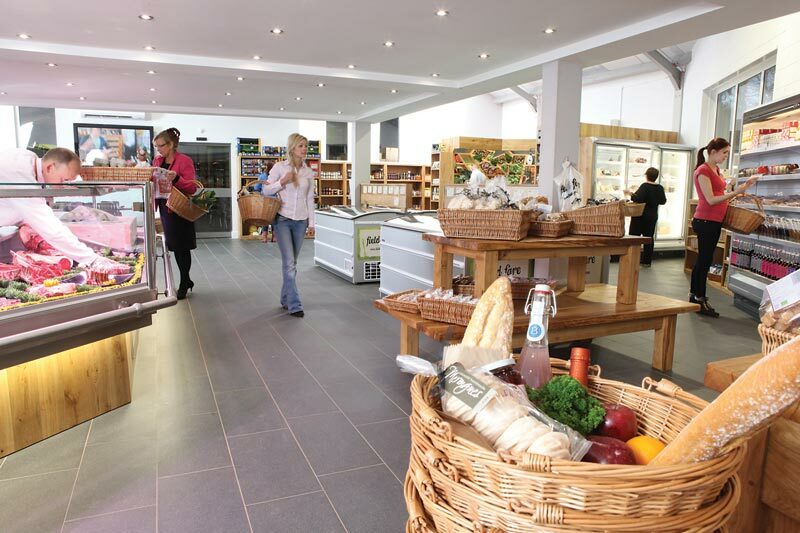 We have a charming little coffee shop at the farm shop where you can order lunch or just have a coffee and a chat. We also have a beautiful south facing terrace running alongside the river, offering a tranquil sun trap that you won’t find in any modern supermarket.